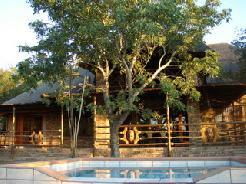 Jock Safari Lodge is one of the very first privately owned camps situated inside the world famous Kruger National Park, with exclusive traversing rights in what is regarded as the best Big Five game viewing area in the Kruger National Park. Situated at the confluence of the Mitomeni and Biyamiti Rivers, this luxury lodge offers stunning views, with the pool literally on the confluence. Each air-conditioned luxury suite is set along the rivers, offering all the luxuries yet evoking the style and romance of the past as well as the indigenous Swazi and Shangaan tribal cultures. Twelve individual thatched suites, screened by lush trees and reed walls, offer guests utmost luxurious privacy, creating a unique experience of gracious old world elegance surrounded by unspoilt wilderness. 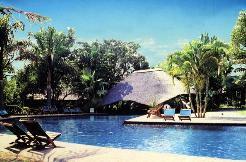 Each suite, with king or twin beds enveloped in a canopy of voluptuous white netting, has its own personal �sala� (thatched viewing deck), plunge pool, romantic Victorian ball and claw bath, his and her vanities and outdoor shower. The suites have been built overlooking the rivers and offer breathtaking river frontage, bushveld vistas and game viewing. Each suite is also fully equipped with 5 star amenities such as air-conditioning, fans, tea and coffee making facilities, private bar and safe. At Jock African cuisine is served which incorporates an abundance of flavours accumulated on the routes followed by sir Percy Fitzpatrick. The head chef of Jock and her passionate team conjure up dishes of legendary proportions, allowing your taste buds to follow their own African journey. The cuisine is presented in a variety of locations. 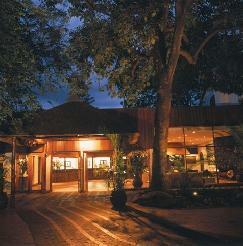 From Silver service in the elegant dining room, to an eating adventure under the panorama of the African night. Game Drives in open landrovers, with a professional team of game rangers, offer guests the thrill of close encounters with Africa's BIG FIVE. 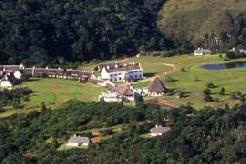 Walking safaris, Birding safaris and guided Historical tours will take you along the paths of legend and mystery. Interpret the signs, sounds and scents of wild animals in this unspoilt wilderness. 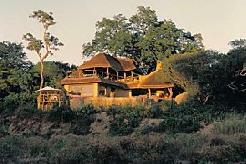 African Wildlife Safaris do not get better than this and Jock Safari Lodge is one of our very favourite lodges. 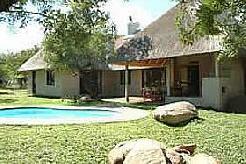 You get a private reserve plus the Kruger National Park AND you are not far from South Africa's No. 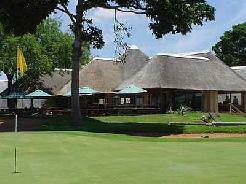 1 Golf Course - Leopard Creek.